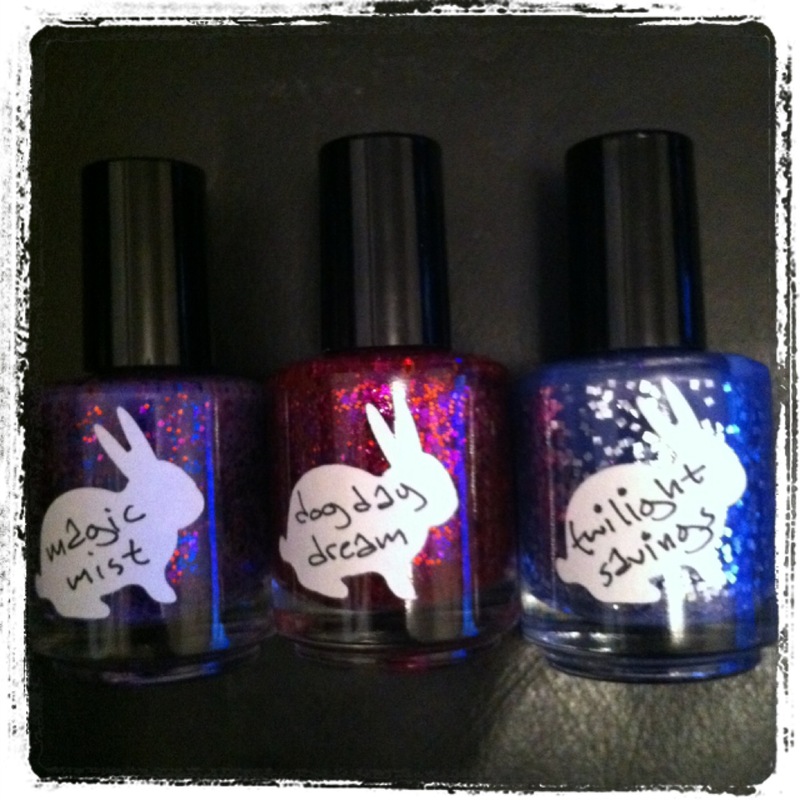 My HARE Polish has finally arrived! I was first attracted to HARE because of its cute bunny label, so when she announced her latest pre-order in June, I stayed up till 7am to wait for her to open shop! 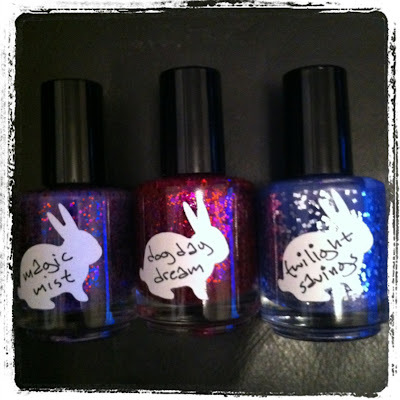 Apart the those adorable labels, HARE Polish is awfully cute too! 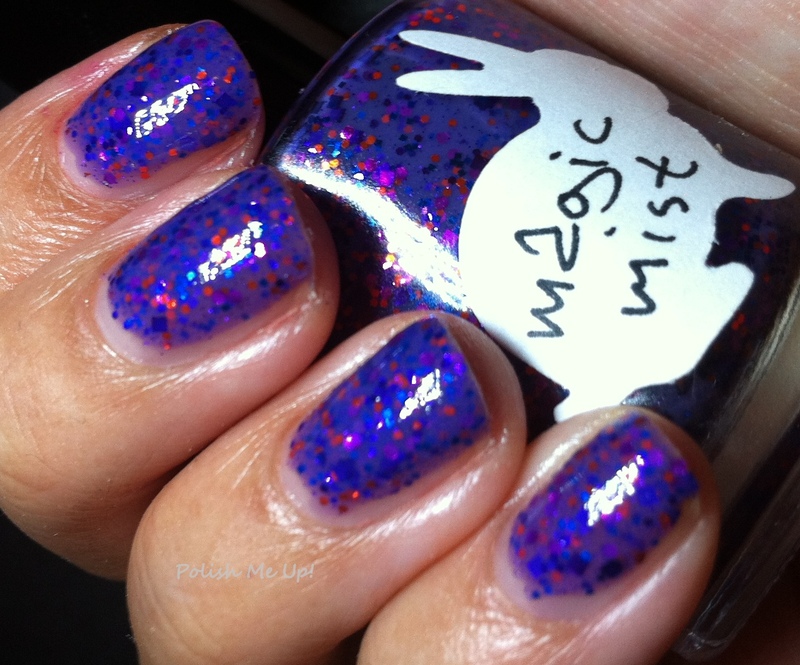 I immediately tried on Magic Mist, a periwinkle jelly base packed with magenta, coral red, royal blue and purple glitters. I love how the polish is opaque in two coats, and yet still maintain the squishy jelly look! Hey Nice blog!!! ! I'm now following you on Google Friend Connect, and I'd love it if you could follow me on Bloglovin'. Where do you live?